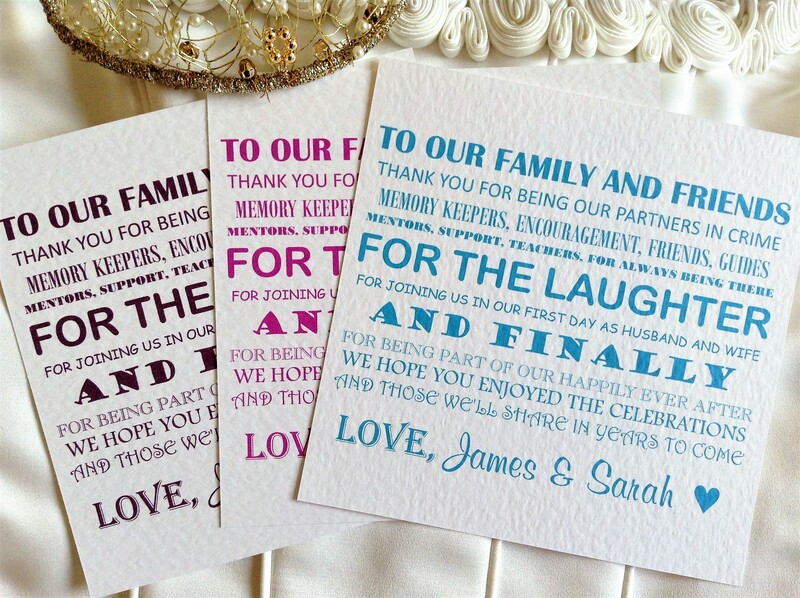 Family and Friends Thank You Cards are printed on a large Square (15cm x 15cm) Wedding Thank You card. 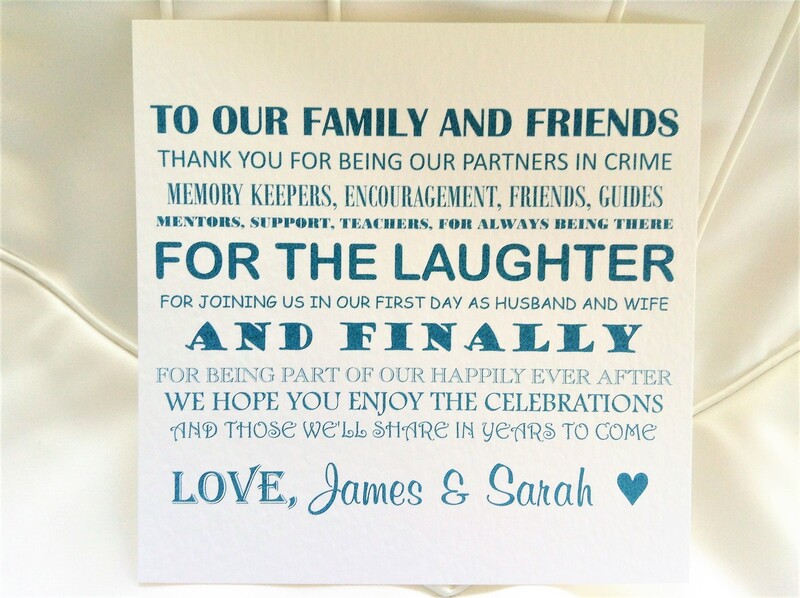 These thank you cards are produced using heavy weight 270gsm hammered card in in white or ivory and are supplied with a matching quality envelope. 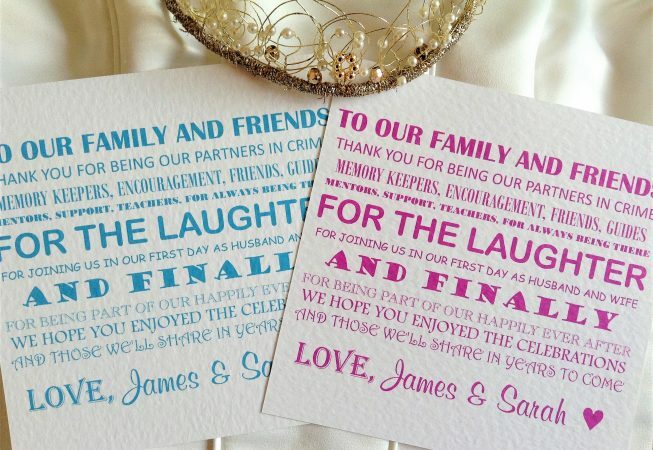 We can print a poem or thank you message on the reverse or leave them blank for you to handwrite your own message. 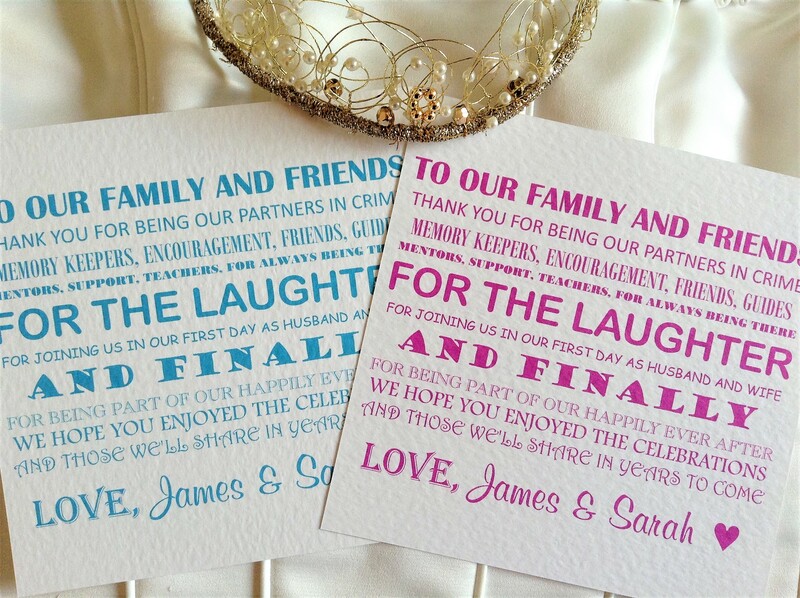 We can add a photograph from your wedding day on the reverse for an additional 20p each.